Just 12 hours after the VIZIO Co-Star went up for pre-order on www.vizio.com/costar, the pre-orders for the little stream player with Google TV and OnLive were sold out. VIZIO posted on Google+, "Thanks to our fans support, we sold out of the #VIZIOCoStar pre-order in the first 12 hours. We are happy to announce that we have pre-orders back up and running!" This post confirms that the pre-orders are back up. 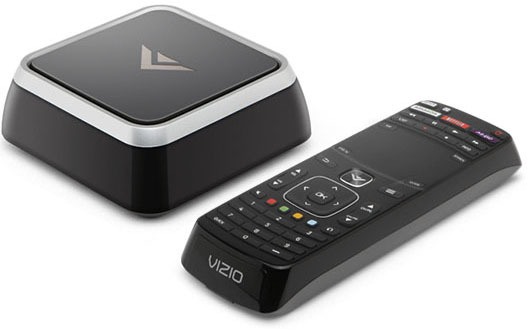 The fact that the OnLive App comes pre-installed on the VIZIO Co-Star surely helps VIZIO sell many of these little stream players. Let's hope that OnLive's data centers can cope with the day one demand from many Co-Stars turned on and streaming high-end gaming from the cloud. Of course it might well be that VIZIO is limiting the pre-order numbers to not put too much of a day one strain on OnLive's data centers.